not known much outside of Bentonia, and Henry Stuckey, whom Holmes considers the founder of the style and who was never recorded. alive, and at this point it’s unlikely that he will ever really know how he acquired the nickname. He continues to operate his family’s business, a juke joint in Bentonia called the Blue Front Cafe, which opened when he was a year old. Midway through the show, Terry “Harmonica” Bean joined Holmes for a few songs. Holmes said that they never rehearse, although they played together from time to time at shows and just seem to have an instinctive feel for the music that they can do together. After a short break, Bean did a set of his own. He is from the so-called “hill country” in the northeast part of Mississippi. Bean had the audience dancing and laughing with his stories and the propulsive power of his performance. 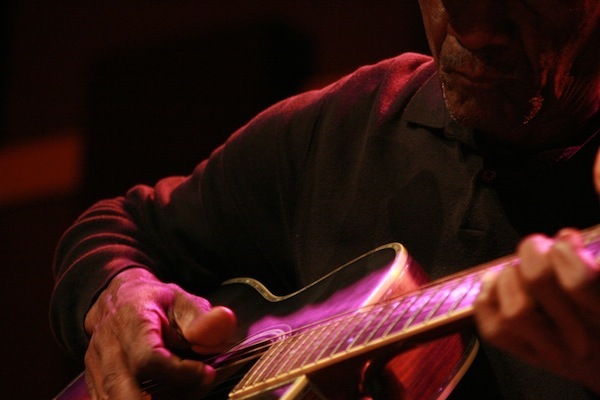 He does a lot of covers of classic blues songs, something that often would annoy me, but not when he does it – – because he totally transforms the songs of Jimmy Reed, Muddy Waters, Howlin’ Wolf, Z. Z. Hill, and many others and truly makes them his own. 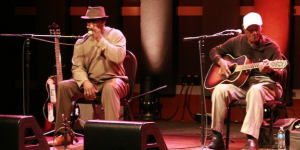 It was certainly a night to remember, and it was the first time that either of these two vital Mississippi blues artists played in Philadelphia. 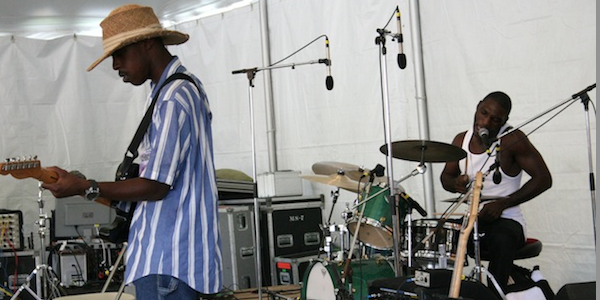 Listen to the sets from “Harmonica” Bean and “Duck” Holmes here. The Blues & Beyond With Jonny Meister: We Juke Up In Here! 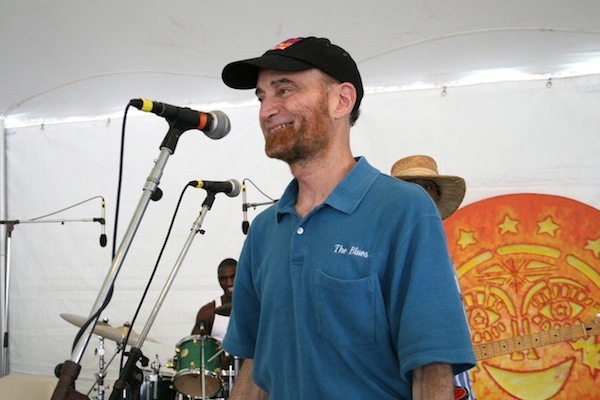 Each Saturday night at 7PM on WXPN, Jonny Meister hosts The Blues Show and the Blues & Beyond. Recently, Jonny put the spotlight on the fantastic new documentary We Juke Up Here! You can read about the documentary here. Below, listen to the Blues & Beyond with Jonny Meister about the We Juke Up In Here! documentary. 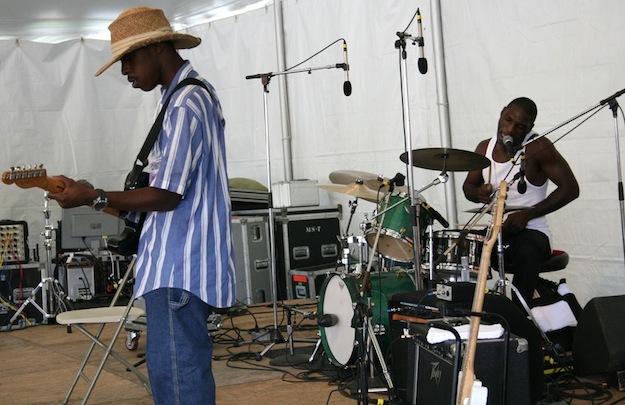 The Philadelphia Folk Festival hosted the first in a series of four Mississippi Blues Project showcases on Sunday, August 19th with Cedric Burnside Project and Big George Brock. The show was hosted by the host of the WXPN Blues Show, Jonny Meister. 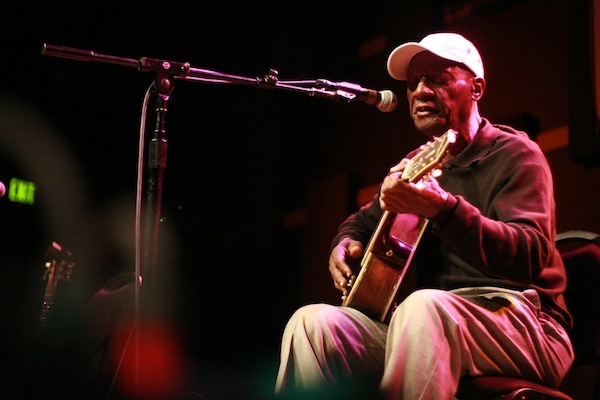 The next showcase is Monday, October 22nd with Jimmy “Duck” Holmes and Terry “Harmonica” Bean at World Cafe Live. All photos above taken by John Vettese.